The decision of an optimum project portfolio selection in the area of project management, is frequently encountered in the business environment. On a purely organizational level, this decision must take into account the uncertainties in the calculation of many criteria as the expected revenue from the investment, profitability, resource availability, labor skills, perspectives and know how. 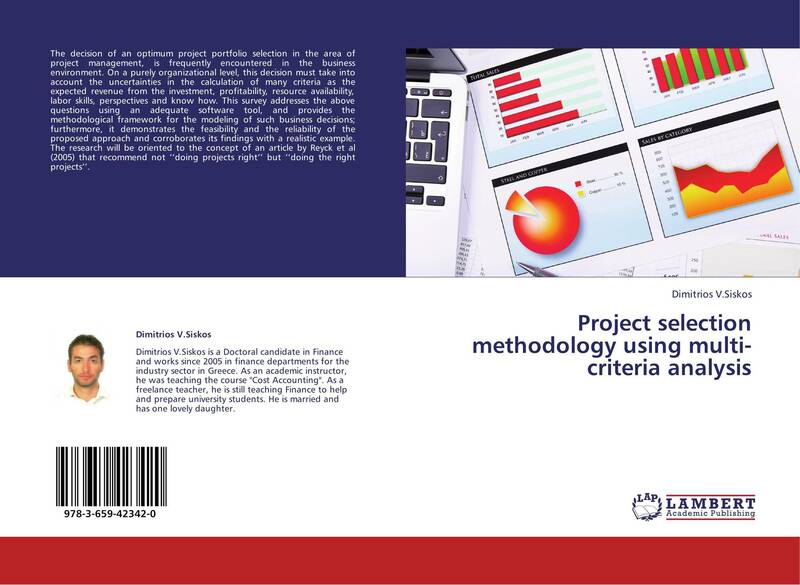 This survey addresses the above questions using an adequate software tool, and provides the methodological framework for the modeling of such business decisions; furthermore, it demonstrates the feasibility and the reliability of the proposed approach and corroborates its findings with a realistic example. The research will be oriented to the concept of an article by Reyck et al (2005) that recommend not ‘‘doing projects right’’ but ‘‘doing the right projects’’.